The Commission envisions a future in which rigorous evidence is created efficiently, as a routine part of government operations, and used to construct effective public policy. 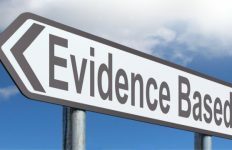 The United States Commission on Evidence-Based Policymaking (CEP) has released its final report, titled The Promise of Evidence-Based Policymaking. The CEP was established through legislation jointly sponsored by Republican Speaker Paul Ryan and Democrat Senator Patty Murray, and signed by President Barack Obama on 30 March, 2016. The CEP legislation recognizes that better use of existing data may improve how government programs operate. The CEP has been described as a rare show of bipartisanship at a time when the Democrats and Republicans are agreeing on very little. Establish a National Secure Data Service to facilitate access to data for evidence building while ensuring privacy and transparency in how those data are used. Require stringent privacy qualifications for acquiring and combining data for statistical purposes at the National Secure Data Service. Review and, where needed, revise laws authorizing Federal data collection and use to ensure that limited access to administrative and survey data is possible. Ensure state-collected quarterly earnings data are available for statistical purposes. Make additional state-collected data about Federal programs available for evidence building. Develop a uniform process for external researchers to apply and qualify for secure access to confidential government data for evidence-building. Require comprehensive risk assessments on de-identified confidential data intended for public release to improve how data are protected and risk is managed. Adopt modern privacy-enhancing technologies for confidential data used for evidence building. Assign senior officials the responsibility for stewarding data within government departments. Codify policies for maintaining integrity and objectivity in Federal statistics. Build on the infrastructure and expertise already developed in government. Require public input, guidance, and participation in the policies and procedures for data linkage activities. Establish a new transparency and accountability portal for evidence-building activities. Innovate continuously on privacy-protective data access approaches. 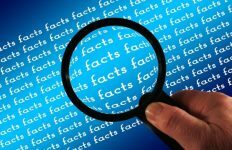 Increase efforts to make information available about the government’s current data inventories and supply related data documentation. Identify or establish a Chief Evaluation Officer in each department. Develop learning agendas in Federal departments. Improve coordination of government-wide evidence building by directing the Office of Management and Budget to facilitate cross-government coordination. Align administrative processes with evidence building activities. Ensure that sufficient resources to support evidence-building activities are available.